The Facilitator Handbook (selling for $12) is available for half price with the purchase of both books Strategic Reading in the Content Areas: Practical Applications for Creating a Thinking Environment (2nd ed.) 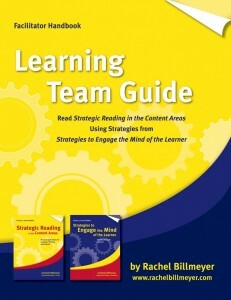 and Strategies to Engage the Mind of the Learner: Building Strategic Learners (2nd ed.) for each team member. If you are interested in the offer, please fill out and submit the request form below or contact Rachel Billmeyer at rachelb2@cox.net. 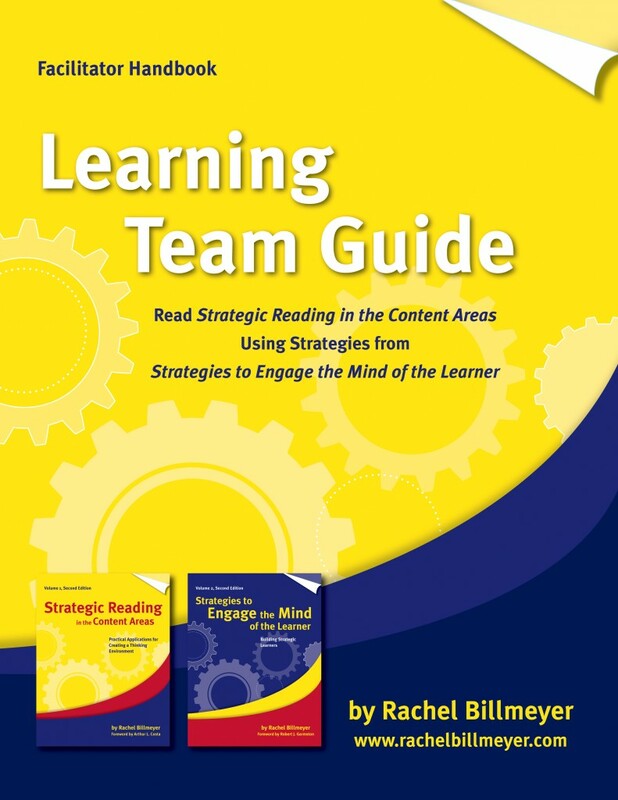 Preview information from Session 1 in Facilitator Handbook: Learning Team Guide for Strategic Reading in the Content Areas (2nd ed.) (PDF file). and Strategies to Engage the Mind of the Learner. to Engage the Mind of the Learner? has been ordered for each learning team member.